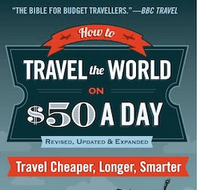 Monday’s Money Saving Tips: 10 Ways to get Free or Cheap Beer on Your Travels! 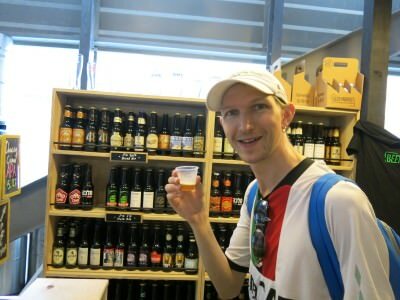 This could easily sneak into my Thirsty Thursdays feature, but alas I’m trying to save you all money, so here it is – a backpacker’s guide to cheap beer! These are my top 10 ways to get FREE or cheap BEER on your travels. 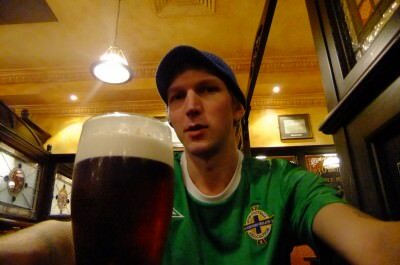 I’m from Northern Ireland, beer is certainly my way to relax as I backpack the globe! My top 10 tips on saving money on beer! Doing a tour of a brewery gives you access to loads of beer as well as giving you an insight into how that particular beer is made. Some breweries offer free tours now and then so keep your eyes peeled for them. Other breweries, such as the Guinness Brewery in Dublin is a special place to visit so you’ll pay a bit more. My favourite brewery tour for FREE BEER is the Steam Whistle Brewery in Toronto, Canada. 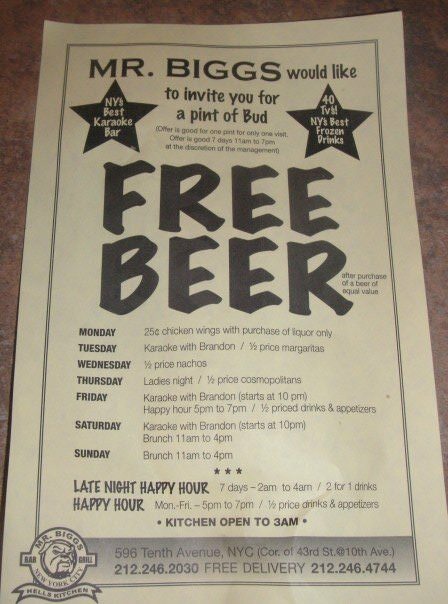 I have no idea if they still do FREE BEER, but having been to Toronto twice (2001 and 2007) both times, I took advantage of the free beer in there. Just walk on in and up to the bar for your free beer! 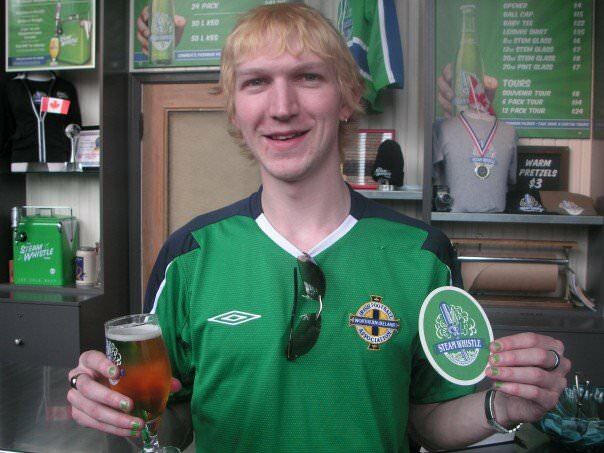 Taking advantage of FREE beer at the Steam Whistle Brewery in Toronto, Canada back in 2007. Walking in Jaffa in Israel recently and I saw a beer store. In I went and blagged a free sample. It’s something I do a lot on my travels. You can do this in bars too – ask to try a sample of a beer before ordering it just to “see if you like it”. I’m an expert at this and could probably do a pub crawl on free samples only. Ask them for extra when they’re pouring it too. I used to work in bars – I’d always give a customer a sample to try. It’s part of the service. Keep your eyes open for fliers offering free beer, discounted beer and offers. I got drunk in New York for $10 US Dollars on the strength of fliers. I also found an Irish pub in Ecuador in the same way. Advertising works, and it’s beneficial to both parties. The pub want customers. You want cheap drink. NYC all you can drink for $10 – CHEAP beer! Oh the glory days – partying with my backpacking buddy, drinking buddy and flatmate Daniel in King’s Cross, Sydney. FREE beer!! 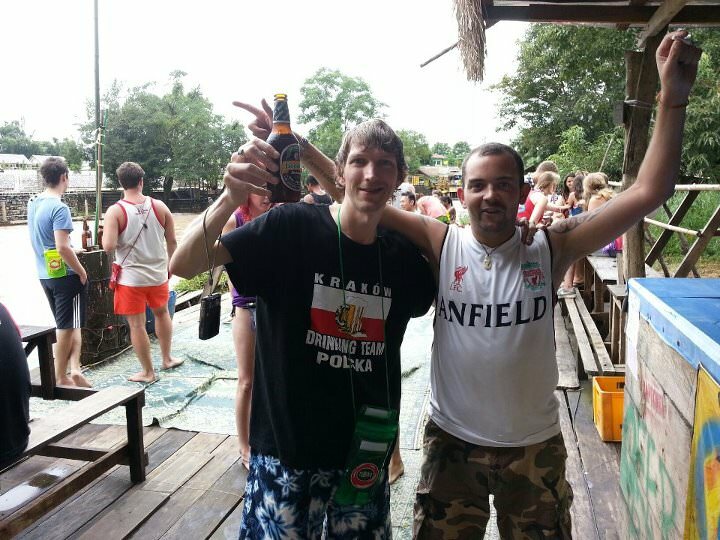 If you think being a budget backpacker means you have to give up drinking, think again. Some genius invented “Happy Hour” and the world was saved. 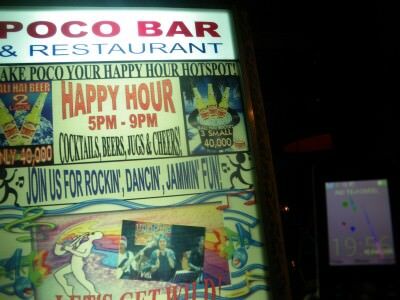 Keep your eyes open everywhere you go for bars advertising Happy Hour. Take advantage of it and invite others. I’ve even been rumoured to deliberately arrange my night’s drinking to coincide with Happy Hour. I also love pubs that extend Happy Hour for longer than an hour. 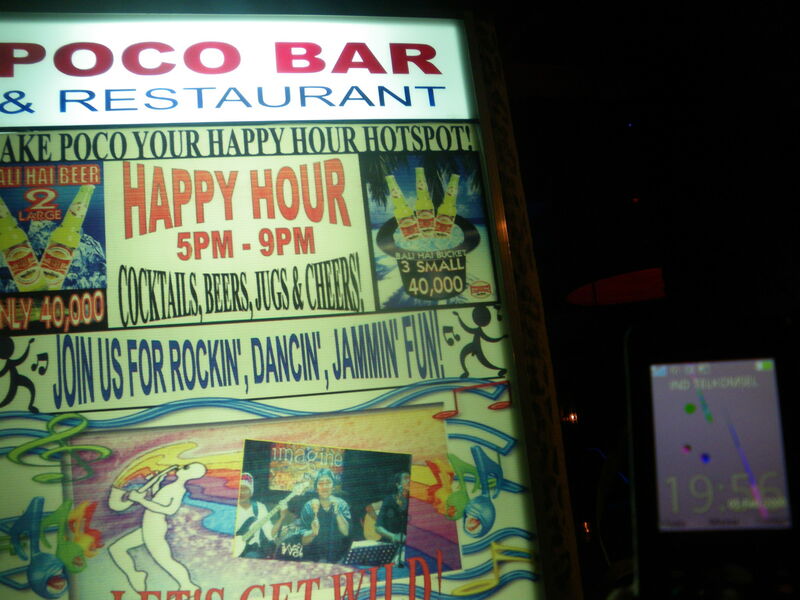 Poco Bar does HAPPY HOUR. My favourite hour to be in a pub! 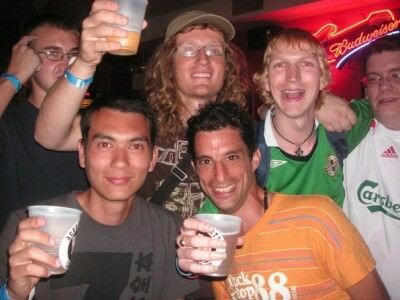 Some hostels will give you a free beer if you write a positive review of their hostel on Trip Advisor. 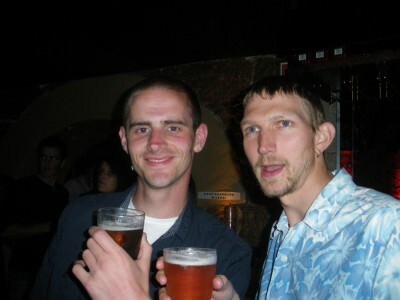 In fact, I’d recommend asking every hostel you stay in if you write a good review can you have a free beer. Most will say yes, as long as you have the review written and show them the link. For sure Hostel 88 in Phnom Penh does this regularly. 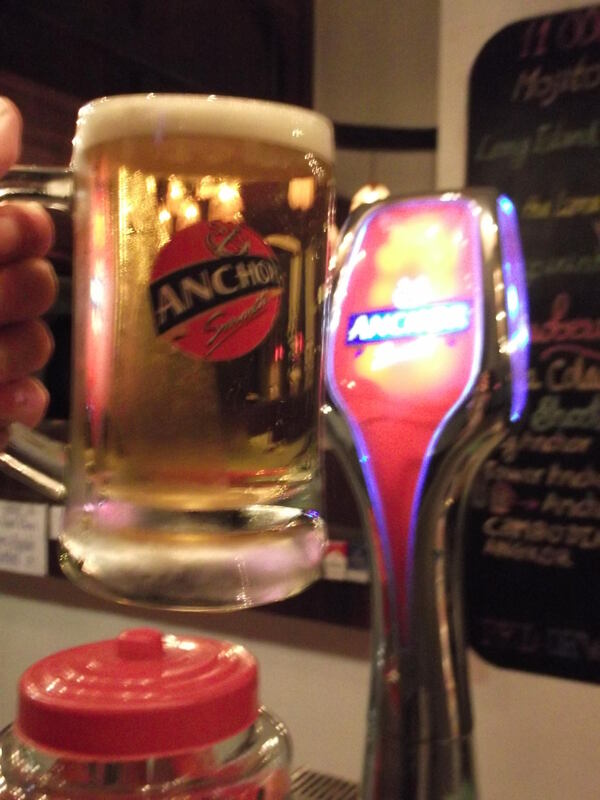 My free beer in Phnom Penh, Cambodia in exchange for a review! Backpacking in Laos in 2012 and I had NO MONEY left. 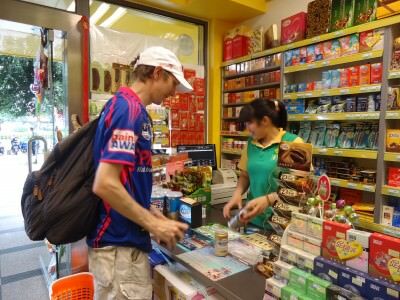 Yes, I lost all my money in a crazy incident in the Nam Song River. But not to worry I managed to blag a free beer at a hostel I wasn’t even staying in (Arnie’s place – I knew the owner) and in a bar in the town. I just told the barman my crazy story and told him I would pretend to drink a beer. I did the miming action in the bar for a few minutes until he took pity on me and gave me a large bottle of Beerlao. I was happy, though admittedly when you’ve just lost all your cash, this was a bittersweet moment. When I stay in hostels it always baffles me why people buy beer there. Just head out to the supermarket and buy it there – it’s always cheaper!! 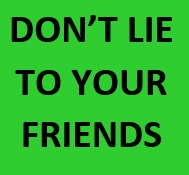 I turned up in a hostel this week with my own carryout of beer and was baffled that three of the guys round my table in the hostel had paid double what I had paid by buying their beer in the hostel. I couldn’t believe it! Monday’s Money Saving Tips: Buying a “carryout” in Guilin, China to save money. Working in bars is a great way to get free beer. Most landlords will let you drink after your shift, I really loved the Theatre Bar in Bournemouth Pavilion for this, as well as Delaney’s Irish Pub in Hong Kong. 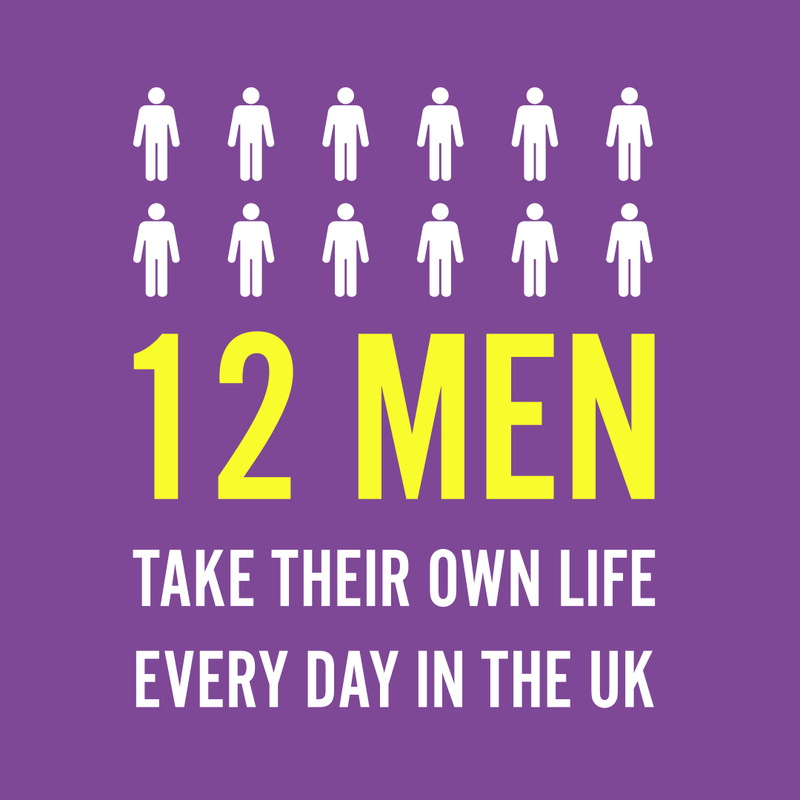 Customers will also regularly say “have one for yourself”, stick that in your tips jar and drink a pint after work. 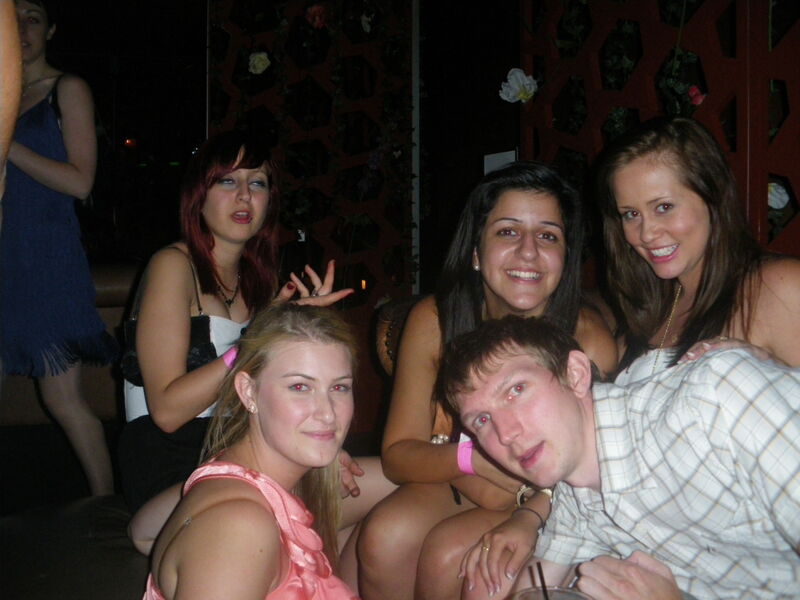 Big FREE party in the land down under – working in a bar has its perks! It’s a lot easier to get free beer if you run a travel blog and write about travel. Get to know the owners of hotels and hostels and ask them for a free beer. Tell bars and restaurants you’ll feature them if you get a free beer. Just brag and talk the talk and you’ll become an expert. Give me a FREE Beer please, I’m a travel writer! 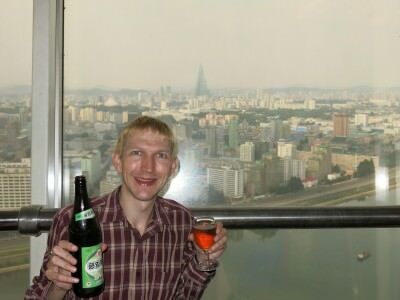 Enjoying the view of Pyongyang recently in North Korea. Happy money saving and happy drinking. Any more tips, let me know – I love free beer!! This entry was posted in Bars, Beer, Daily Features, Destinations, Thirsty Thursdays. Bookmark the permalink. Hi Jonny, great blog! Do you know of any specific hostels in Asia and Oceania that offer a free beer or a free nights’ stay for bloggers, reviewers, etc? That’s really great. I appreciate your thoughts. thanks for sharing this brilliant thing.